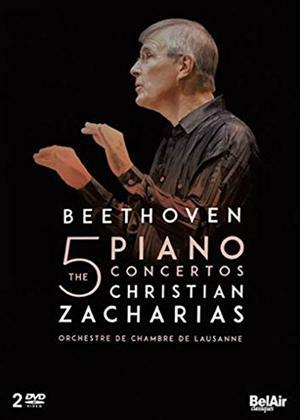 For the past 15 years, the destiny of Christian Zacharias has been linked to that of the Lausanne Chamber Orchestra, of which he is currently Principal Conductor and Artistic Director from 2000 to 2013. This has resulted in invitations to the most prestigious venues and numerous recordings. Christian Zacharias s career has been crowned with numerous distinctions: he was named Artist of the Year at Cannes MIDEM in 2007 and received the rank of Officer in the Order of Arts and Letters in 2010.